Many of us in our everyday life bear witness to people in positions of authority and influence that do not present the characteristics and integrity to inspire and motivate those they wish to follow them. In a world where there is so much division, where so many are uninterested in meaningful compromise, and there is a shortage of integrity, leadership development is needed now more than ever. 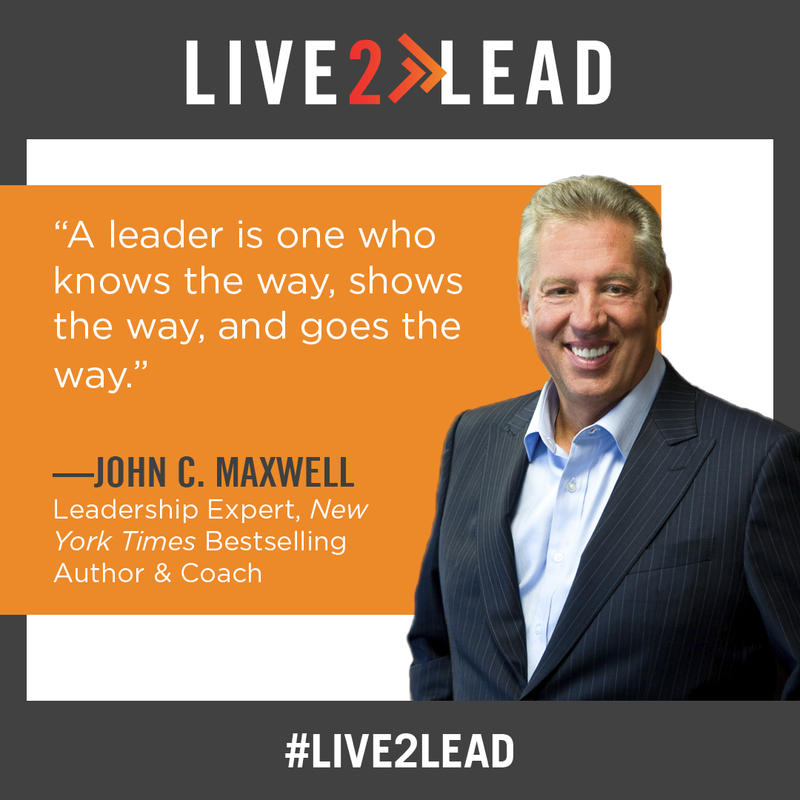 The Chamber continues to find ways to offer those leadership development opportunities, and will once again offer the John Maxwell Live2Lead rebroadcast. John C. Maxwell is a #New York Times best-selling author, coach and speaker who has sold more than 26 million books in 50 languages. You'll breathe new life into your leadership during this information-packed half day event. Learn from world-class leadership experts in the morning and return to your office ready to implement your new action plan and lead with renewed passion and committment. The rebroadcast of the John Maxwell Company LIVE2LEAD event, in partnership with presenting sponsor PNC Bank, will take place Tuesday, February 26 from 8:30 a.m. to 12:00 p.m. at the Memorial Center for Learning and Innovation (228 W. Mill​er, Springfield). Registration is now open and the cost to attend is $49 per person. To register, go to www.gscc.org/events or contact Lisa Schafer at The Chamber at (217) 525-1173 ext. 203 or at lschafer@gscc.org. Named the "Most Powerful Woman in Business" by FORTUNE Magazine and was the first woman to lead a FORTUNE 20 company as the CEO of Hewlett-Packard. Fiorina has also headed the External Advisory Board for the CIA under President George W. Bush and was a 2016 U.S. presidential candidate. One of the best-selling nonfiction-authors of the last decade. His books on work, business, and behavior have been translated into 35 languages and have sold more than 2 million copies worldwide. He is a New York Times bestselling author and his TED Talk on the science of motivation is one of the 10 most-watched TED Talks of all time, with more than 19 million views. A professional adventurer, public speaker and founder of Shoal Projects Limited and Mix Diversity Developers Limited. Debra is now one of the most prolific female speakers on the European circuit and has spoken worldwide to over 1000 companies, including clients such as IBM and Microsoft, as well as speaking at events such as TEDx. Tyler Perry is a world-renowned producer, director, actor, screenwriter, playwright, author, songwriter, entrepreneur and philanthropist. The mastermind behind 20 feature films, 20 stage plays, 8 television shows, and two New York Times bestselling books, Tyler has built an empire that has attracted audiences and built communities, from the Tyler Perry Studios home base in Atlanta, Georgia, throughout the world. Celebrated "among the pantheon of today's greatest cinematic innovators," his unique blend of spiritual hope and down-home humor continues to shape his inspiring life story, connecting with fans across the globe and always leaving space to dream. This is a leadership event you do not want to miss!